We would have loved to launch ACE COMBAT 7 at the end of 2017 as we originally intended, but doing so would compromise our goal for the game. We take our art very seriously and that means we have instead chosen to devote additional time and effort to perfect and optimize this newest chapter of the ACE COMBAT saga. The combination of the Unreal 4 Engine and the power of current generation consoles and PC hardware have literally opened the “skies of opportunity” to us to develop the best ACE COMBAT experience to-date. At no other time in ACE COMBAT’s 20+ year history has gaming technology allowed us to deliver the minute details of flight combat – such as cloud cover and air currents – or give players a new way to experience dogfights and attack sorties through hardware such as the new PlayStation VR. Ace Combat 7: Skies Unknown is currently rated PEGI 16. The game will be coming for the PlayStation 4 system, Xbox One, and PC via STEAM. 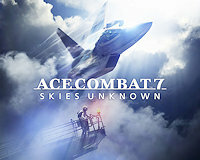 To find out more about Ace Combat 7: Skies Unknown, head over to the games official website.